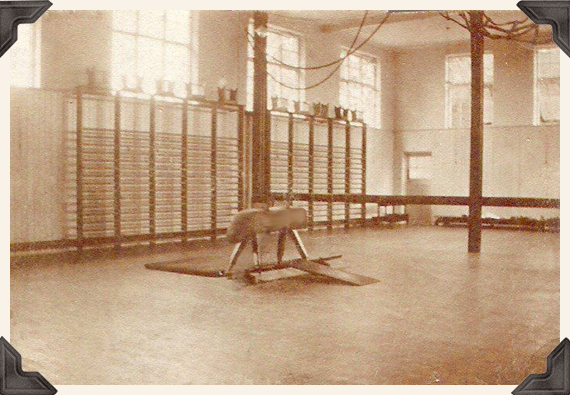 The gym was sate of the art when the school was built. It remained like this until the 1990s. You were not allowed to use your outdoor or indoor shoes to walk on the gym floor. You had to wear plimsoles or to walk in your stocking feet. I can remember having to take my shoes off and leave them in the corridor when we had assembly in the gym.